Metal pocket dressing instrument case, c 1900s. 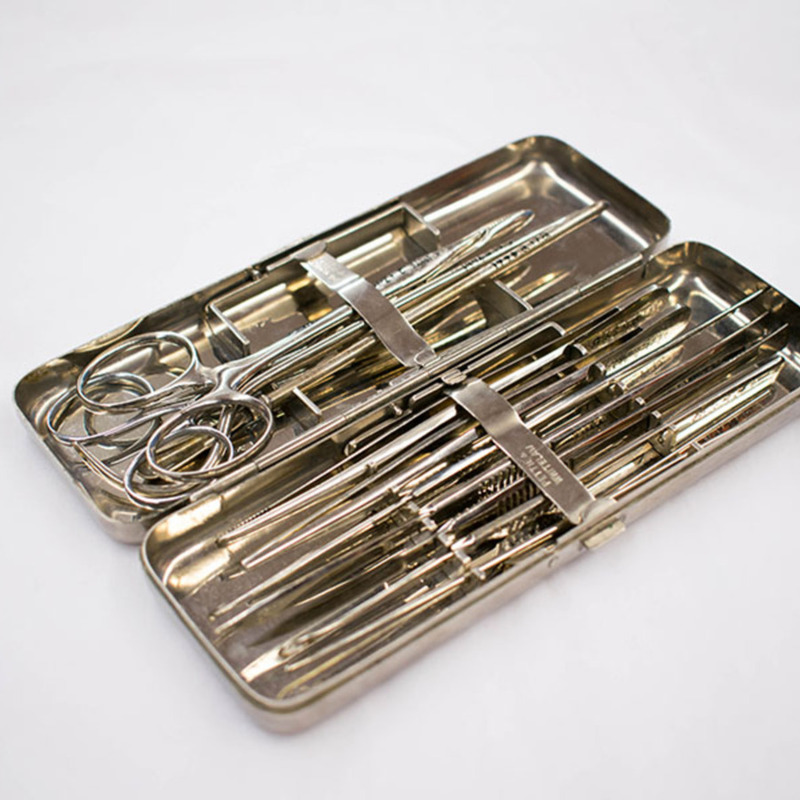 Pictured here is a set of dressing instruments held within a small metal case. Included in the set are aneurysm needles, scissors, forceps, and a bone scoop. 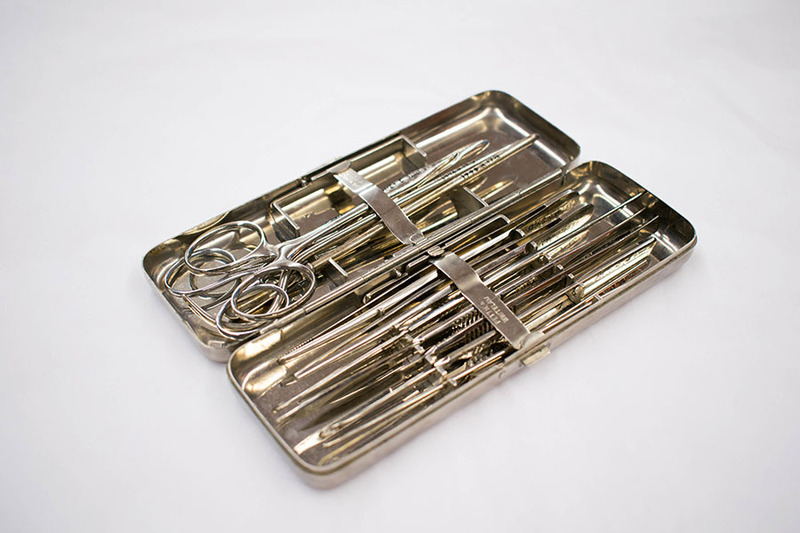 Unknown, “Dressing Instrument Set,” Heritage, accessed April 22, 2019, https://heritage.rcpsg.ac.uk/items/show/77. 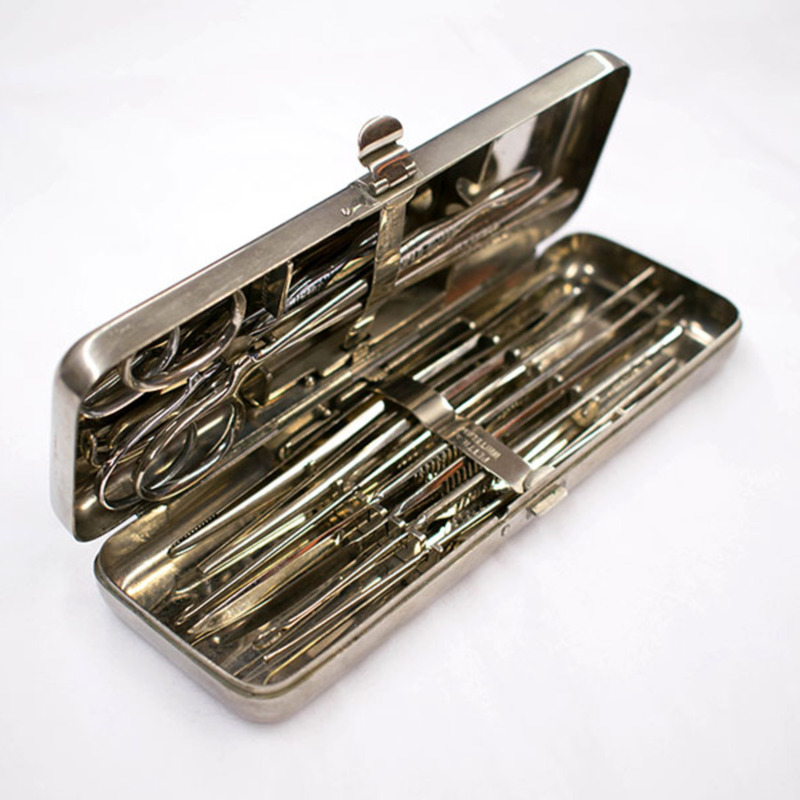 Description: Metal pocket dressing instrument case, c 1900s. 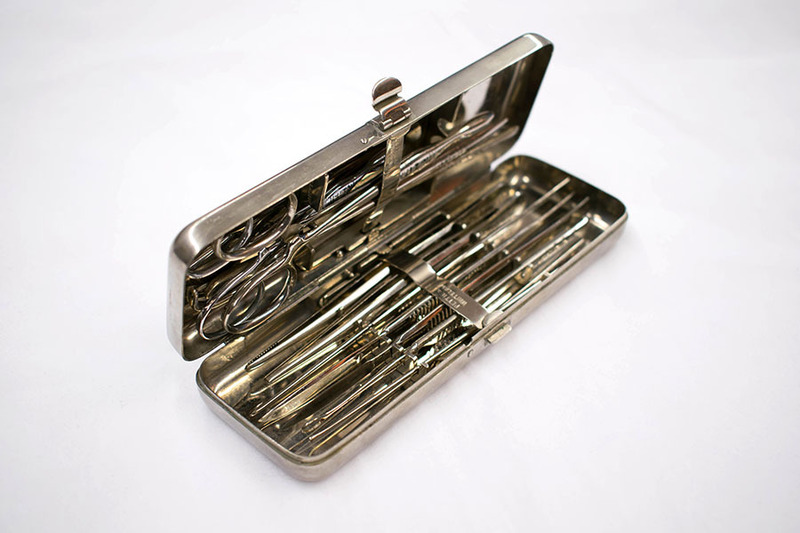 Pictured here is a set of dressing instruments held within a small metal case. Included in the set are aneurysm needles, scissors, forceps, and a bone scoop.